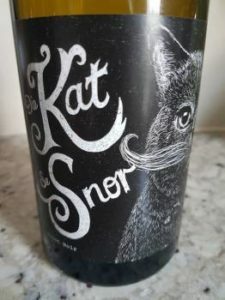 Die Kat se Snor Pinot Noir is an own-label project of Gerhard Smith, currently of La Vierge but who will soon be taking up a position at Creation. The maiden vintage 2016 is made from Overberg grapes, the wine under-going spontaneous fermentation before maturation lasting 10 months in older French oak barrels. The nose shows cherry and raspberry plus hints of musk and floral perfume. The palate is full with plenty of juicy fruit, bright acidity and fine tannins, the finish having a gently spicy quality. Price: R285 a bottle.